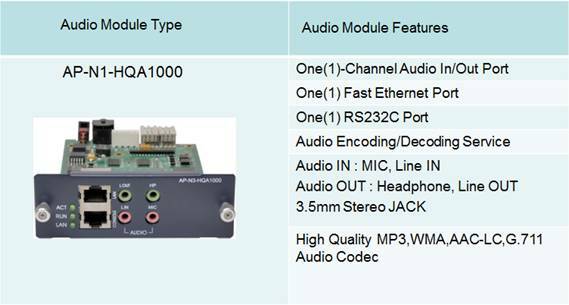 AddPac Technology IP Audio Broadcasting solution is composed of AP-ABS5000 multi-channel IP audio broadcasting server, AP-BCR2000 Broadcasting Router, AP1605 high quality IP audio broadcasting terminals, and AP-MBMS broadcasting management program. 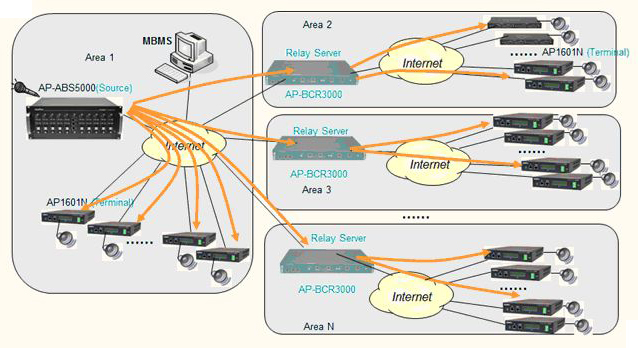 AP-ABS5000 multi-channel IP audio broadcasting server is an internet access ready IP broadcasting device to support multi-channel audio and voice broadcasting transmission by using IP protocol in finance, enterprise, and public office. It supports high definition audio quality up to 16KHz with high quality audio compressed codec such as . AP-ABS5000 multi-channel IP audio broadcasting server supports voice broadcasting through internet in enterprise environment as well as excellent solution in video broadcasting to satisfy the needs of customer demand. Beside, VoiceFinder AP-ABS5000 IP audio broadcasting server supports stabilized two fast Ethernet service port and let you install maximum of 10 audio codec modules. AP1605 high quality IP audio broadcasting terminals is a fast internet IP broadcasting terminal which provide audio, voice broadcasting data play through internet IP protocol in headquarter and branch. It provides high definition audio quality (up to 16KHz) by using high quality audio compressed codec such as other than existing 8KHz based PSTN. At front, it provides volume adjust rotary switch so that a user may adjust volume in accordance with the needs of user. Also, it provides built-in digital amp broadcasting module with direct connection of external speaker. AP1605 IP audio broadcasting terminal supports an excellent solution for voice and broadcasting task through internet in enterprise environment to maximize the full satisfaction. 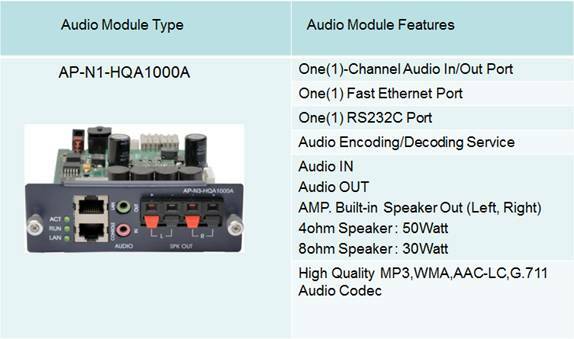 AP1605 IP broadcasting terminal is designed on module type to support audio broadcasting interface module such as built-in amp.